Welcome to our night out on the Salt Flats (or technically a few miles north on some BLM land). We survived Outdoor Retailer, walked in circles for miles, gave hugs to new friends and old friends, heard some wonderful thoughts about our industry, and continued pushing this world forward. It's certainly overwhelming at times, but it makes me happy when I'm dead tired at the end of each day and want to fall asleep by 8pm. Seems like a full day to me. 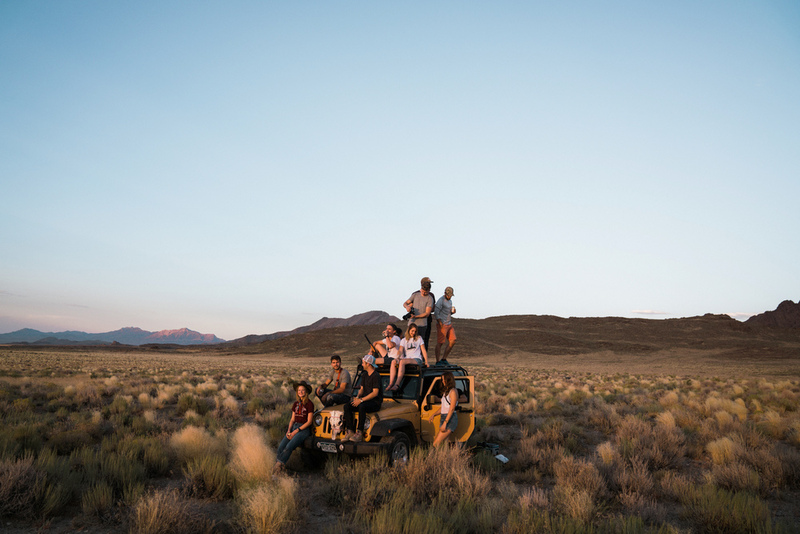 Have you ever coordinated a camping trip with 15-20 friends before? It's hard. Especially when everyone is running around a trade show and you only have half their numbers. But these people wanted to get out just as much as I did and somehow we pulled it off. 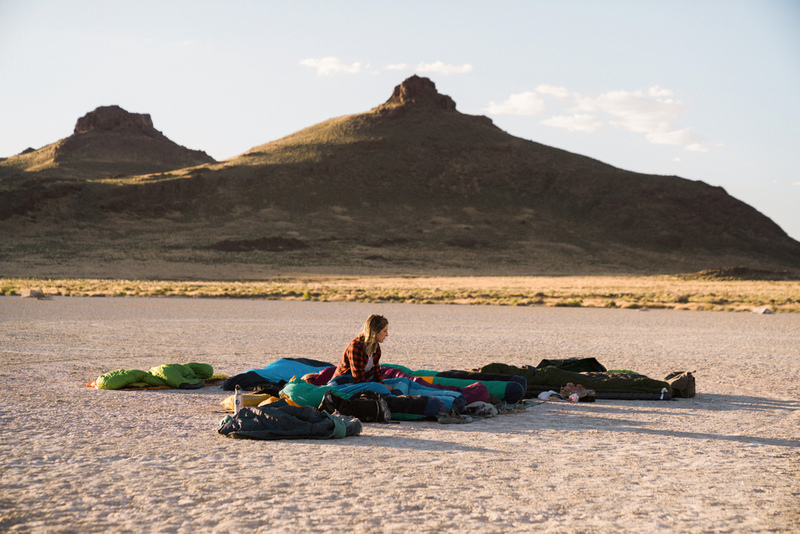 A few of us talked about camping on the Salt Flats, which spread to telling more people, which spread to group text upon group text until we decided to meet at a random Google pin that none of us had been to. Awesome. We had friends from Seattle, Portland, Denver, San Francisco, Los Angeles, Austin, Visalia, and probably a few more cities that I don't remember. 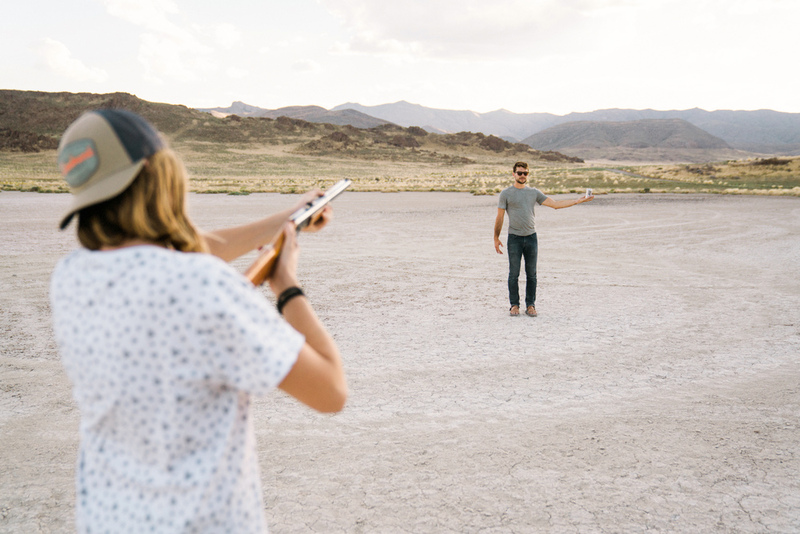 We shot a Red Ryder BB gun at empty cans, we shot those same cans off Adam's hand (and head...oops). We watched the sunset from on top of Jeeps, talked and ate watermelon until it got dark, cooked tacos for everyone off the bed of a Honda Element, and celebrated a birthday with a tiny cake and candle that kept going out. We turned on headlights and strobe lights from headlamps and danced to not very loud music. We laid in the dark, heads on each others shoulders, and watched for shooting stars, naming them as they flew by. Adam won with Fungie the Dingle Dolphin (which in fact is a real dolphin). We slept on tarps, waking up to the sun shining over the mountain and covered in dust. We stumbled around in the morning, eating oatmeal and drinking coffee, slowly cleaning up camp until people left one by one. Finally, we took off on Jeeps and put them to use. Spinning circles and mobbing through the dirt until we made our way into Nevada. These trips are important. They're an opportunity to connect with people in person, to show we're interested in each others stories, to offer advice and, to get weird and dance in headlights, and to laugh. We celebrate the stars and the wild places around us.